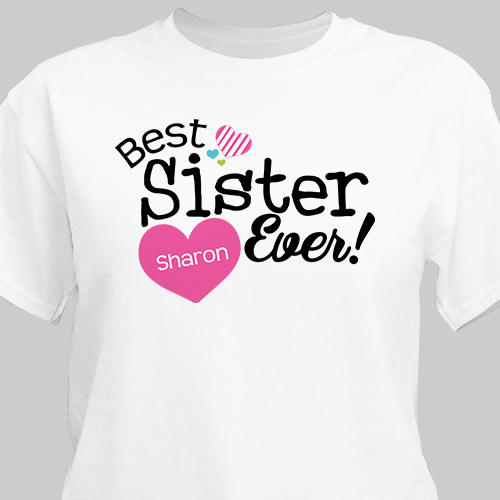 Your sister will love being constantly reminded of how great she really is every time she wears one of these Best Sister Ever Personalized T-Shirts. Make it an attractive & fun loving gift for her upcoming birthday, Christmas or any gift giving occasion. 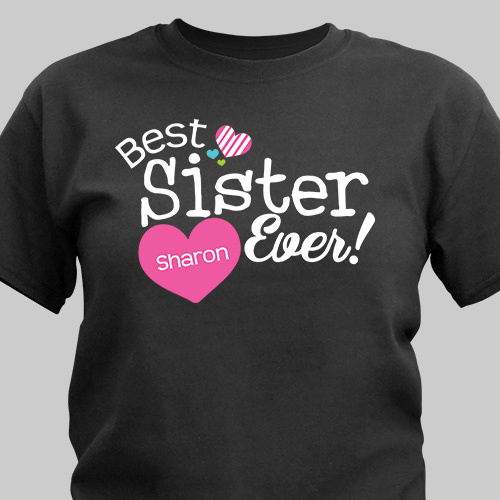 This Sisters Personalized Shirt is available on our premium preshrunk 100% cotton T-Shirts, machine washable in adult sizes S-3XL. Free personalization of any name is included. My sisters or loved them! Browse through the most attractive Personalized Sister Gifts around! GiftsForYouNow.com is your home for fun loving, pretty & sentimental Sister that make your gift giving mean so much more. Take a peek today and also find our beautifully Engraved Sister Bracelet & our Engraved Sister Frame as well.